Thank you to Sam Illaiee, Iuliana Eparu and Tracey Arthey from Waltham Forest Child and Adolescent Mental Health Services (CAMHS), North East London Foundation Trust for providing information on their Long Term Conditions Clinic. The clinic has helped them to manage discharges from CAMHS in a way that better meets the needs of children and young people. What is the Crossroads Clinic? The Long Term Conditions Clinic, Crossroads, is a monthly drop-in clinic for clients who have been discharged from CAMHS within the past two years and would like to access services again. It is an easy way for former clients to self-refer back into the service after being discharged. Crossroads was developed because we noticed that there were some cases in CAMHS that were kept open longer than necessary and that some children and young people (CYP) felt anxious about being discharged because of the thought of potentially having to wait a long time to get back into the service again if they needed it. How do patients access the clinic? CYP and their families or carers can self-refer into Crossroads through a telephone call. Most clients seen in this clinic are those who have already received some treatment and would benefit from further intervention, or those who previously did not engage in their treatment. We take cases that have been referred in the past two years and have had a full assessment with the results indicating a need for specialist CAMHS. Presenting difficulties must be consistent with those that they previously received treatment for in CAMHS. Difficulties must not be acute. How does the clinic work? Crossroads is run by two clinicians and is held for half a day once a month. They see three clients between them. CYP and their families or carers wishing to access Crossroads make a telephone call to the clinic and will fill in a brief assessment pro-forma. This allows the clinicians to explore what worked for the client in the past, what did not work, and what is happening now. For example, some clients may explain that they did not get on with their clinician last time they were seen by CAMHS. The clinicians may decide that the client would benefit more from self-management resources rather than further CAMHS input. Some clients will go straight onto a Crossroads waiting list to receive treatment, bypassing a wait on the emotional pathway, meaning that they will access an intervention they need quicker than if they had to be re-referred through the same route as new referrals. Crossroads is a mechanism of self-referral. The CAMHS triage service has access to information to be able to identify the children and young people who have been discharged so they can be fast-tracked to Crossroads appropriately. How are clients informed of the Crossroads clinic? When clinicians discuss ending treatment with clients they provide a leaflet which explains that although their current treatment has come to an end they are welcome to refer themselves back into Crossroads. It is made clear that it is not a crisis clinic. Why might you not offer someone Crossroads? Discharging someone is a process and sometimes it is just not appropriate to offer this to them. For some cases you need a clearer boundary or the option to leave CAMHS altogether. For example, on a high risk case a flag was placed on the young person’s file to identify the risks. Their parents were also supported to identify early warning signs that might indicate a need for further treatment or support in CAMHS. If you discharge someone and someone else refers them to CAMHS what do you do? Crossroads is for self-referrals only. 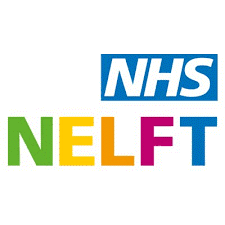 If the school or their GP wants them to come back they need to support the family to self-refer. How well received has Crossroads been? So far Crossroads has received positive feedback from children and young people. The real test is how they feel when they actually leave the service. Those who have been offered the clinic have said that they have found it reassuring because it negates the need for a second assessment. Offering Crossroads at case closure has enabled clinicians to feel more confident discharging, knowing that if clients want to come back they can easily do so. Since the clinic has been running, they have not had any clients taking up the service. How is the clinic aligned to the THRIVE framework (Wolpert et al., 2016)? The Crossroads Clinic has enabled Waltham Forest to become more THRIVE-like by allowing staff and their clients to think more explicitly about “endings”. The THRIVE theoretical model advocates for clinicians to discuss “endings” with clients from the outset, acknowledging that this can be a hard conversation to have. Many i-THRIVE implementation sites grapple with this issue, particularly within the context of some children and young people not being “better” at the end of treatment. For Waltham Forest CAMHS Crossroads has helped increased clinicians confidence and reduce anxieties around ending treatment particularly with children and young people who may not have fully benefitted from treatment, or where risk is high. Crossroads is also THRIVE-like as it offers former clients reassurance that once they have ended treatment they will still be able to access support without undergoing re-referral.